Orpheus Omega (formerly Orpheus) was founded in 2008, initially as a side project by Chris Themelco and Joao Gancalves. Shortly after the idea was spawned Matt Themelco, Adam ‘Milky’ Adams, and Sasha Braganca joined the band and Orpheus Omega took shape. After releasing their E.P, ‘So It Begins’ in 2009, their unique take on the Melodic Death Metal genre and immersive live shows had seen the band gain much momentum, with their music spreading across Australian shores and beyond. After many shows and much critical acclaim, the band released their long awaited debut album, ‘Bleed The Way’ through Rockstar Records in early 2011. The album was the culmination of two years of extensive gigging and writing to perfect their sound and create an album set to please any fan of heavy riff laden and keyboard driven death metal. In 2011, keyboardist Sasha, left the band for personal reasons and was replaced by current member Keswick Gallagher who bought his own unique style to the fray. The new line up was personally selected as the national support act for Amon Amarth’s 2012 Australian tour by the band and management. The band was praised for their stellar live shows across the tour and gained many new fans therein. Orpheus Omega then released a self-produced Live DVD after many requests, capturing their live energy and showmanship on film. The DVD was accepted and praised highly from international fans as well as the local fanbase which lead the band to open for Alestorm and Eluveitie in Melbourne. On May 4th 2013, Orpheus Omega released their sophomore album, ‘ResIllusion’ (res-illusion) through Rockstar Records (AU, NZ) , Amputated Vein (Japan) and iTunes globally. Aggressive riffing, melodic passages and chaotic leadwork matched by intricate and destructive drum and bass grooves and blasts. With intricate and catchy, but never over the top or cheesy Keyboards, the music is carefully complimented by a diverse vocal performance where the end result is a unique and fresh take on the genre and an album that represents Orpheus Omega perfectly. Unfortunately a day before the launch of ResIllusion, the band suffered the tragic loss of Bassist and good friend Adam ‘Milky’ Adams. Instead of throwing in the towel, the band decided to forge onward in honor of MIlky and all the hard work that had gone into the band before. The band later recruited Bassist Nathan Mesiti, joining before the writing process of Partum Vita Mortem. 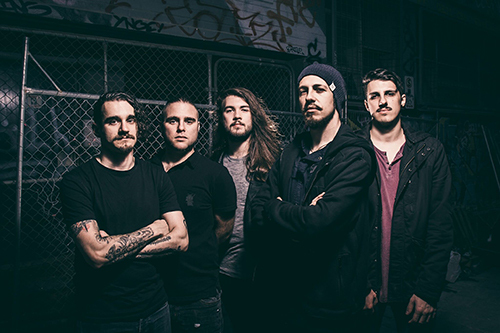 Since the release of 2013′s acclaimed ‘ResIllusion’, ORPHEUS OMEGA have cemented themselves as one of Melodic Death Metal’s most promising newcomers. After a slew of support slots with Dark Tranquillity, Children Of Bodom, Korpiklaani, Eluveitie and more, followed by a 2 week headlining tour of Asia, the band are now ready to unleash their 3rd album, ‘Partum Vita Mortem’, a concept album exploring the human condition through Birth, Life and Death across an hour of unrelenting musicianship. Featuring aggressive and melodic guitar work, intricate and powerful drumming, chaotic keyboard work and a varied array of vocal stylings, the album is sure to become a staple in modern Melodic Death Metal.